Exciting news from Glooscap Elementary! The Grapevine > Articles > Exciting news from Glooscap Elementary! Here at Glooscap Elementary, we are in the process of creating an outdoor classroom and are very excited about this project. An outdoor classroom will open up a whole new way of teaching for the children in our school and community. While this project is very exciting, it is also a very large job. We would love to have some help from the current and former families of Glooscap Elementary, as well as community members. Many hands make light work and this project could benefit from lots of hands. Outdoor classrooms promote learning in a variety of aspects, allowing for gathering places for teachers and students to explore while integrating nature into our school. They provide opportunities to explore, learn, investigate, and analyze in all types of weather. Research shows that children’s concentration, motivation, inspiration, and willingness to learn increases when they are outdoors. 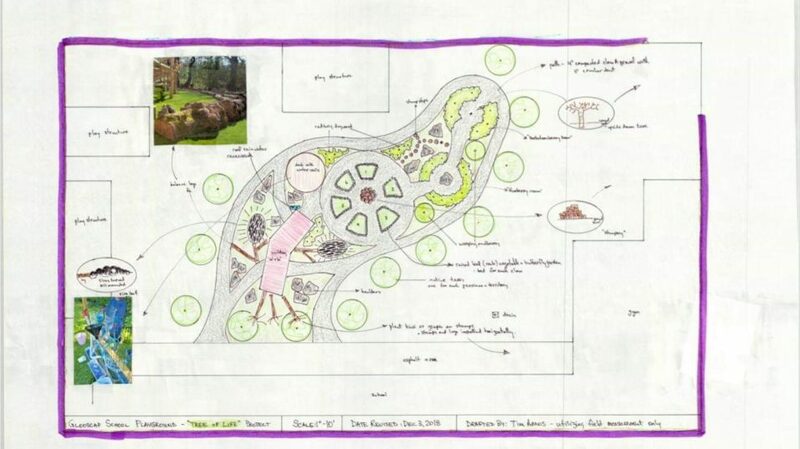 Our outdoor classroom plan includes many great features, including a covered shelter area for great teaching moments, raised garden beds for both vegetables and flowers, an interactive water feature, and many other places for them to climb, play, and discover. Best of all, the outdoor classroom will be accessible for all children. We are in need of a variety of items, including heavy equipment, various natural materials, as well as volunteers and monetary donations. We are looking for items like logs, stumps, and various sizes of tires. We are also looking to continue building partnerships with other community organizations like the ones we have with Canning Recreation and our local Girl Guide chapter. We are investing in our school and community’s future and we would love for you to be a part of the bigger picture. Contact Anne Marie Lewis lewisam@gnspes.ca today if you can help, or for more information.